By Melissa Lennig on July 29, 2013 3 Comments. This content contains affiliate links. As an Amazon Associate I earn from qualifying purchases. For far too many adult years, I’ve tolerated eczema, inflammation, aching joints, and fatigue. Five-years ago, I was tested for Celiac Disease, but my test read negative. Since then, I haven’t given gluten more than a minute’s consideration until I came across this site last month. As I reviewed the list of gluten intolerance symptoms and noticed that I exhibited 11/14 of them, I began to understand that gluten intolerance ranges from severe to mild. I am now strongly convinced that I have a gluten intolerance and there is only one way to find out for sure; I need to change my diet. Breakfast seemed like a good place to begin. 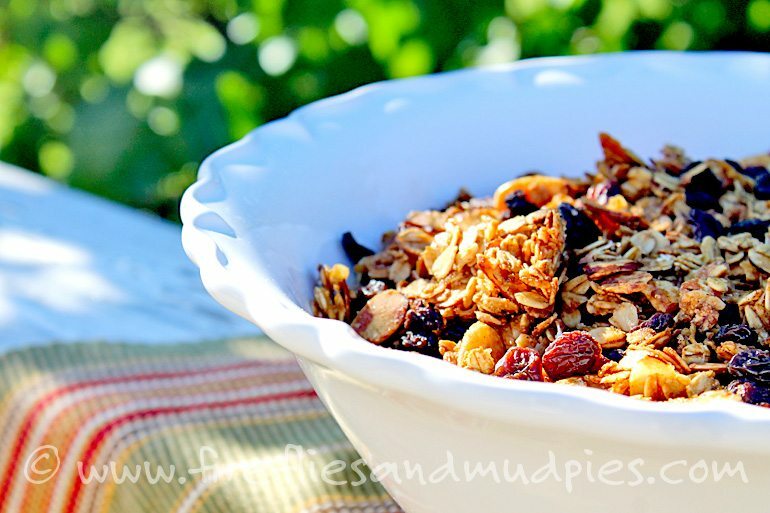 Here is how I’ve made my favorite granola gluten-free. 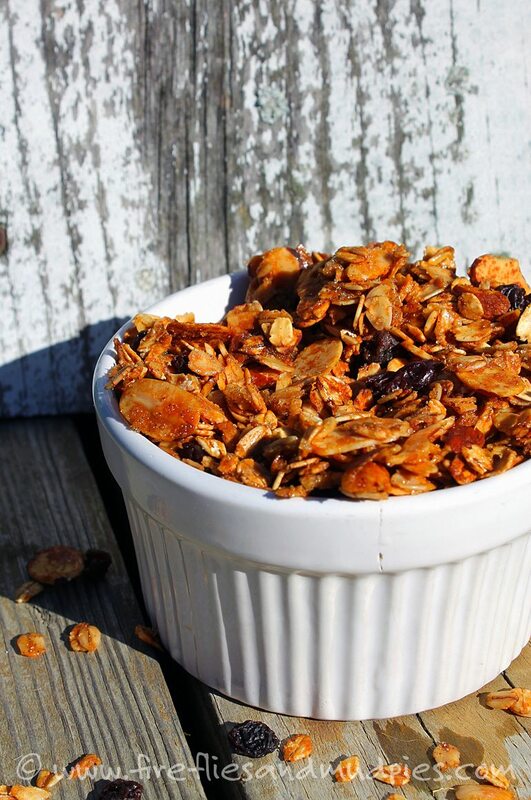 Changing my breakfast granola was a great way for me to begin eating gluten-free because it was so incredibly simple! All I had to do was swap regular rolled oats for gluten-free rolled oats. I nixed the wheat germ, which I frequently added to my old granola, and incorporated chia seeds as an alternative. I didn’t even taste the change! 1. Mix the first five ingredients in a large bowl. 2. Warm the oil, honey and vanilla in a saucepan over low heat. (Tip: Measure out the oil first, then the honey in the same cup). 3. Pour the honey mixture over the rolled oat mixture. Mix well (adding the coconut and chia seeds) and spread onto a parchment lined baking sheet. 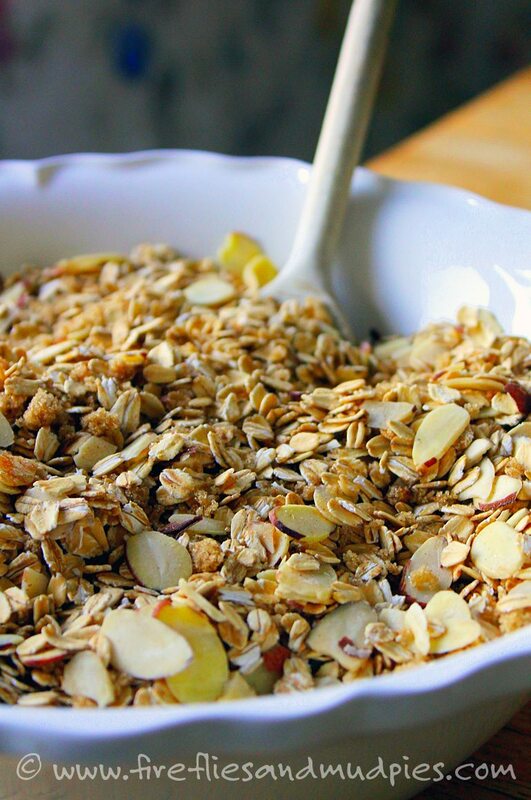 Make your home smell amazing by baking the granola for 40 minutes at 300 degrees. Stir every 10 minutes. When it is finished, the granola will be golden and crisp. Allow it to cool completely before enjoying. Store the granola in air-tight mason jars. Share some with a friend and enjoy! This looks so yummy! Thanks for sharing your recipe, Melissa.